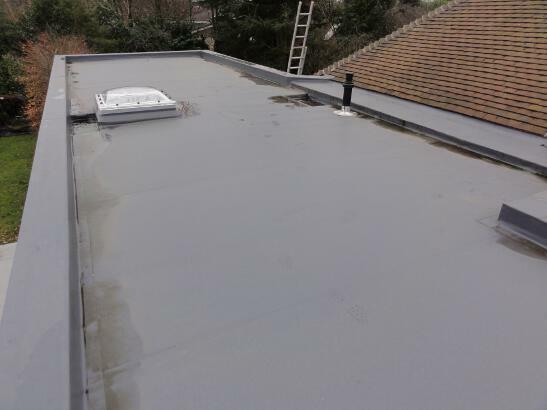 Sarnafil Flat Roofing Installers. Alternative specification. 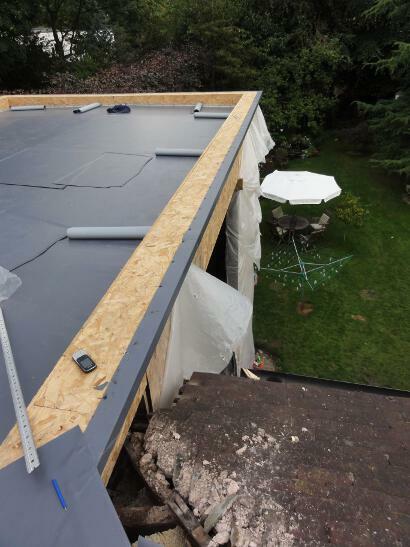 With energy efficiency high on the agenda, a Sarnafil flat roof system with 150mm warm roof insulation was originally specified for this self build project in Didsbury, South Manchester. 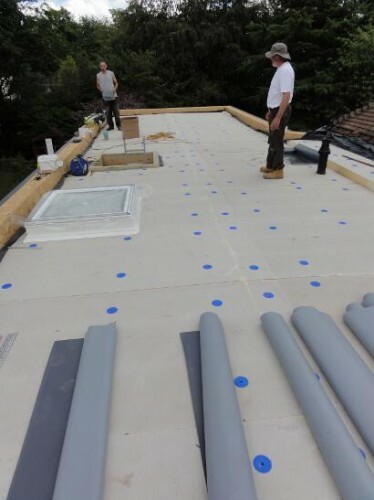 Having received a number of quotes from Sarnafil contractors and installers, the builder decided to get to work researching alternative single-ply systems and flat roof coverings to see if he could make the budget go any further. Needless to say, he reached the right team! A smaller 50mm front face perimeter trim would compliment the sleek minimalist build better than the 75mm which had been specified. 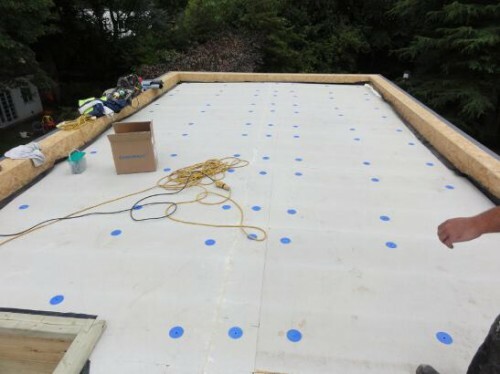 Design out almost 40 metres of drainage channels because they would: a) as drawn, without falls be the only truly flat area of the roof, hold water and harbour leaves; b) create ~2 days additional work in joinery and waterproofing; c) necessitate thinner insulation in these areas (or notching out of rafters). Consider an alternative single ply system, and use a mechanically fixed specification to allow foil faced insulation with thermally broken fixings and achieve a better u-Value. 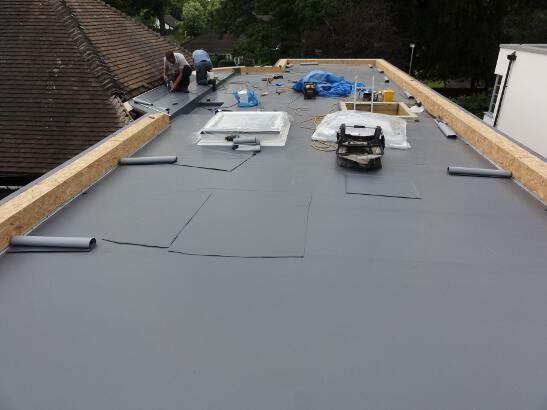 Falcon won the work, based on supply and installation of the Duranite Roofing System, utilising Durafast thermally broken fixings with the client’s own insulation. Unfortunately the order had already been placed for tissue faced insulation in line with the original spec, but the insulation value achieved easily surpasses current standards even without the extra reflective foil front and back. 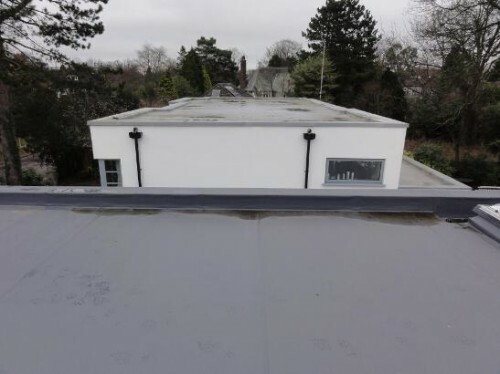 We were invited back almost 18 months later to install the flat roof covering to phase 2, which also allowed us to take some photos of the first roof after 6 seasons in service and within hours of rain. It’s clear to see that minimal standing water is present with the drainage channels removed. A closer look will also reveal a neighbouring Sarnafil roof in the background. 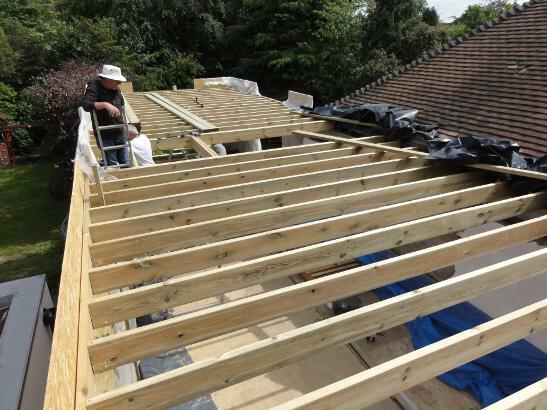 These large timber framed extensions to an already substantial property are insulated to the highest standards, with 200mm mineral wool in the timber frame wall void and an additional 80mm polyisocyanurate (e.g. Kingspan, Celotex, Ecotherm) fixed externally and finished with a waterproof render. 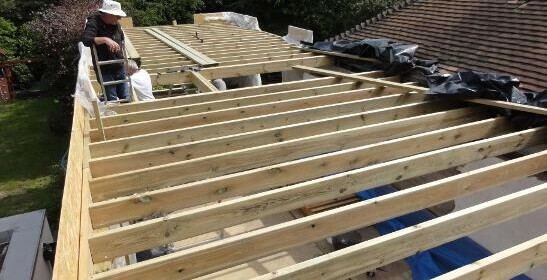 As leading specialist single ply roofing contractors, all our work is to the highest standard and fully guaranteed. We regularly carry out work ranging from small domestic Sarnafil roof repairs, through to the re-covering of apartment blocks, flats, industrial units, factories and all aspects of commercial flat roofing. 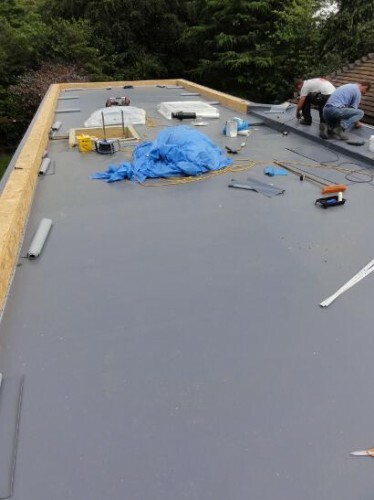 Falcon Roofline work predominantly throughout the North West, and often further afield if we are able to accurately price from a drawing and the job is large enough to warrant travel/accommodation costs.